More than 150 young girls have gathered at Government House in Melbourne ahead of International Day for Women and Girls in Science to hear how Victorian women are delivering world-leading advances in medical research and clinical care. Her Excellency, the Hon. Linda Dessau AC, who is Victoria’s first female Governor, hosted the event for the Royal Women’s Hospital. Despite women now outnumbering men at university, enrolment in science, technology, engineering and mathematics (STEMM) based degrees remains largely unchanged for the past two decades. The event aimed to encourage young women to stick with STEMM subjects as currently half as many school girls as boys study advanced mathematics and less than a third of physics pupils are girls. These two subjects are needed to pursue many STEMM based university degrees. A new report by the Invergowrie Foundation, University of Melbourne and Deakin University has found industry has a key role in encouraging and mentoring young women and girls to pursue careers in STEMM and breakdown the stubborn stereotypes that are holding women back. “Research shows that stereotypes that start from home, persist through school and into industry are holding young women back from pursuing careers in STEMM,” Dr Sarah Holdsworth-Carson from the Royal Women’s Hospital said. The Women’s has put together the ‘Meet a Scientist’ event at Government House to showcase the opportunities for young women in science. “We want to showcase that there are STEMM careers and organisations that provide a positive and encouraging work culture where women can thrive and can use their scientific skills to improve the health of others. Dr Holdsworth-Carson said for Victoria to thrive in innovation and research, it needed to be attracting the brightest and best to the sector from both sexes and providing opportunities for them to reach their full potential. One of the priorities of the Governor, who is patron of the Women’s, is to showcase Victorian innovation, manufacturing and technology, particularly in the areas of design, startups, biomedicine and biotechnology, and STEAM (Science, Technology, Engineering, Arts, Mathematics). 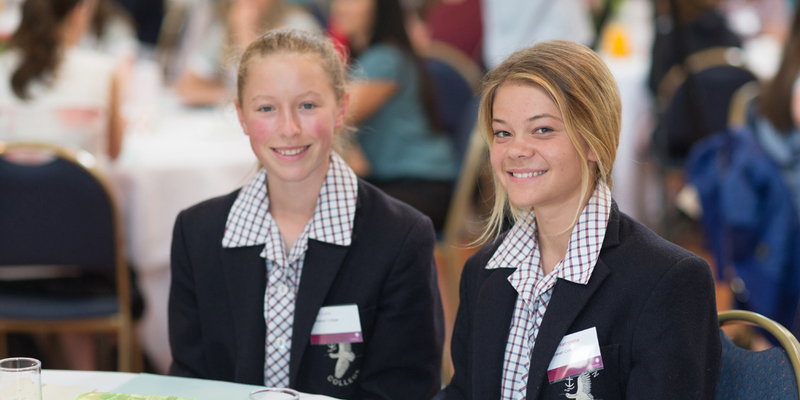 Girl’s Future, Our Future is a study undertaken by Invergowrie Foundation, University of Melbourne and Deakin University looking at why women and girls are not pursuing careers in STEMM and recommendations to address the problem.